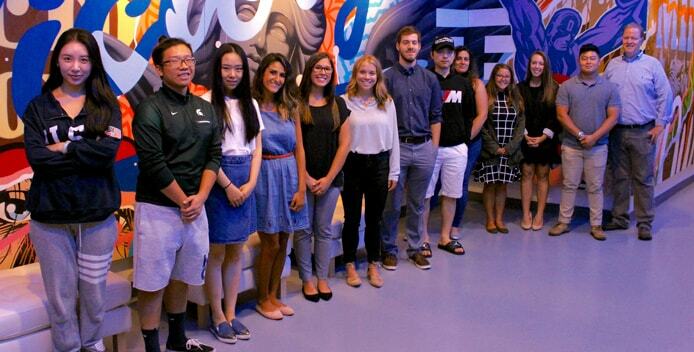 TL; DR: Giving students the keys to careers in online marketing, the New Media Drivers License course at Michigan State University exposes aspiring communicators to tools and tactics for building strong online presences. Instructor Ross Johnson shared how the curriculum and students have evolved alongside the ever-changing landscape and espoused the value of providing students with meaningful career advice and guidance on how to apply their new skills in the real world. Facing a roomful of early adopters of technology each semester, Ross Johnson is never quite sure what results he’ll see when he asks students which social media platforms they use. When he started teaching the New Media Drivers License course at Michigan State University, many students weren’t on social media much at all, aside from Facebook. A few years later, Pinterest and Foursquare were among the most popular — now, they’re almost nonexistent in the minds of college students. By using students as a sounding board, however, Ross and course Co-Creator Derek Mehraban can adapt the digital marketing seminars to guarantee students are learning about the most relevant and useful tools before they graduate and take the wheel on real-world online campaigns. “With things changing so quickly, this is a course where we can update it every single semester to make sure it’s as current as possible and really help students learn what they need to become successful,” Ross said. For the first few years of the program, which started in 2008, Ross said instructors focused on teaching students the basics of how to use social media platforms. Ross Johnson shares his digital marketing expertise with students as part of the New Media Drivers License course. The increased familiarity now allows the course to shift gears and explore online communication and marketing tactics beyond social media, including email marketing and pay-per-click advertising. Even though most students taking the New Media Drivers License course are advertising, communications, public relations, or marketing students at Michigan State, Ross emphasized that the class, labeled ADV 420, is open to everyone. Only the first and last courses are held in person; all other seminars, assignments, and interactions are done online. In addition to aspiring writers, mathematicians, and accountants who have taken the course, Ross said a student flew in from California last year. When looking back on his time in college, Ross said that, while he wanted more applicable career training, his learning experience focused more heavily on theoretical knowledge and memorization. More than 1,500 students have gone through the New Media Drivers License course since it started in 2008. Specifically, he recalled a professor inviting a local entrepreneur to talk about the lessons learned in starting a business and credits that class with giving him the foundations to start his own business. Both Ross and Derek run web design, development, and digital marketing agencies — 3.7 Designs and Ingenex — in Ann Arbor, Michigan. “We spend a lot of time trying to coach the students on the real-life side of things, like what a career is like and how to find a job,” Ross said, estimating that only 10 to 20 percent of students enter the class with a particular career objective in mind. Because they’re connected with other agencies throughout the area, Ross said he and Derek frequently run into former students with promising careers in digital marketing. The connection with other agencies and former students helps the New Media Drivers License instructors stay abreast of new trends in online communication, allowing them to regularly adapt the curriculum.